BASEBALL Though wins were prominent for the boy’s preseason, they have been struggling recently. Senior John Chao bats in the 6-5 loss against Ontario. Diamond Bar High School baseball is ready to hit the sweet spot for the remaining season, with the team’s eye on CIF. The team has an overall record of 7-4, and is currently fifth in the Mt. Baldy League. 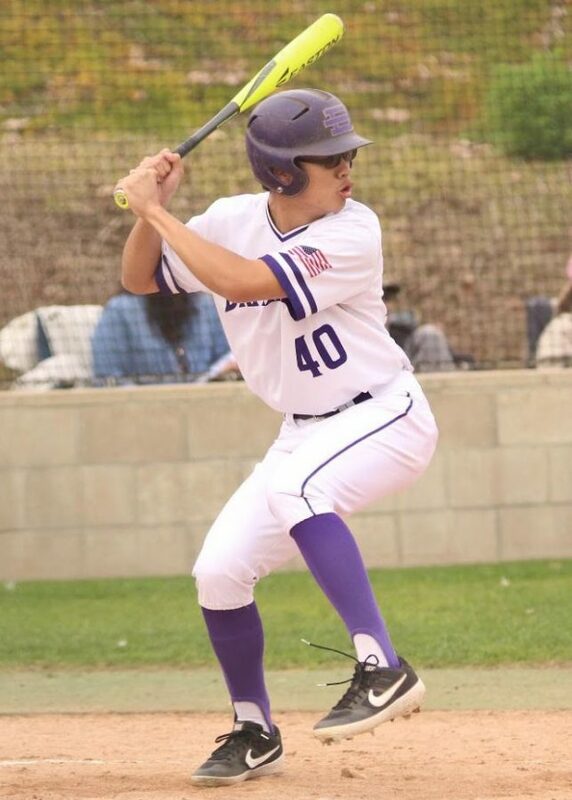 They defeated Chaffey on March 8 after two consecutive losses against Ontario, 6-5 and Chino, 9-6 and then suffered a loss, 11-8, against Don Lugo on March 13. Both teams are strong offensively, so the game came down to the pitching. Hurst said that although pitching, overall, has been a weakness for the team, individuals have stepped up. Senior Sean Martin has been a stand out player for the season, with an ERA of 2.69 in the six games he has pitched. “Pitching has been a struggle for us, but pitchers like Martin have been fantastic,” Hurst said. “Whenever he is in the game, it’s tough to beat us with our offense and him pitching, so we are trying to figure how to be as competitive when he can’t pitch,” Hurst said. On the offensive side, leading contributors include senior second baseman Aaron Duran, senior John Chao and junior shortstop Alonzo Fuller. “Performance wise, Aaron Duran has had a very good year offensively so far,” Hurst said. In the eight games that Duran has played this year, he has accumulated 14 hits, eight RBI and scored seven runs. In the same number of games, Fuller has connected with 11 hits, ten RBI and scored seven runs, and Chao has seven hits, seven RBI and six runs. Hurst said the team is eager to qualify for CIF.